If you are looking for a home roofing contractor with many years of experience and a reputation for providing outstanding service, look to Daech & Bauer Roofing. Whether the roof on your home in the Maryville, Illinois area requires minor repairs or needs to be completely replaced, our talented craftsmen can make sure the job is done right. We’ve successfully completed more than 10,000 projects in the area, and our commitment to providing customer-focused service helped us to be named a Top 100 Roofing Contractor by Roofing Contractor magazine. Additionally, Daech & Bauer has extensive experience navigating the complicated insurance claim process, so we can help you if your roof has been damaged in a storm. We are also committed to providing a complete roofing system which includes unmatched protection against water intrusion, the durability to withstand nature’s elements, and optimized attic airflow to manage temperatures and prevent deterioration. 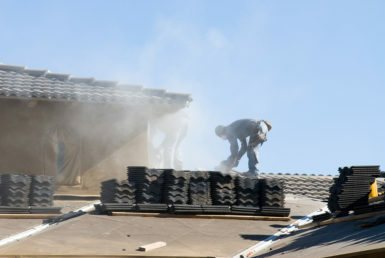 If the roof on your home in the Maryville, IL area needs work, contact the home roofing contractor that always delivers on its promises – Daech & Bauer Roofing.